But thanks to advances in cosmetic dentistry, dental professionals these days are able to help patients achieve spectacular results in a far less time-consuming fashion. Within the relaxed and friendly setting of our Scarborough dental clinic, we’re pleased to offer our valued patients a variety of cosmetic solutions to suit their needs. Whether you want to fix a single crooked tooth or you’re looking for a more extensive cosmetic dentistry treatment, Dr. Ron Richardson & Associates is at your service. Self-confidence comes from proper grooming, great posture and of course a winning smile. Tooth colour is a common concern of our patients, and one of the cosmetic dental issues we resolve most often. In treating discolouration, we take a balanced approach to ensure the entire smile looks consistent and natural. If the teeth are too white, they take attention away from the patient’s eyes. The teeth should complement and enhance the eyes, not overpower them (as parodied in the episode of “Friends” when Ross gets a whitening treatment and his teeth glow in the dark. Not very attractive, indeed). When you visit our dental clinic on Ellesmere Rd in Scarborough, you’ll benefit from our individualized, attentive approach to cosmetic dentistry. And because we want you to be comfortable with your course of treatment, we’ll take the time to incorporate your suggestions and opinions into your case before the treatment is finished.  With convenient appointment scheduling and a friendly office staff, Dr. Ron Richardson & Associates is the place to go in Scarborough for cosmetic dentistry services. For more information or to schedule a consultation, call us today at 416-284-9994.